Conference Series Ltd invites all the participants across the globe to attend 24th Global Nursing & Healthcare Conference Amsterdam, Netherlands. Current literature states that advances in nursing and medical care and developments in pharmaceutical and health technologies have led to an increasing number of severely disabled children who require complex health care. These children who require complex care are being cared for in their homes by their parents. The purpose of this study was to better understand parents’ caregiving experiences and to explore the values, beliefs and practices that influence parents’ use and satisfaction with respite services. An ethnographic study involving 19 mothers, four fathers and four grandmothers and three grandfathers of children between the ages of eight and 16 years who required complex care and their respite providers, including 13 nurses and four social workers from three counties in Northwest England was conducted. Data were collected through in-depth interviews, participant observation and document review. The context of caring for a child with complex care needs was described and four broad themes were identified in the data. These themes include: parents caring, caring and the impact on parental identity, the nature of respite and fair play. These themes will be discussed in the presentation. Twenty years ago, University of Virginia became one of the first medical centers in the United States to see the potential of using video communications to improve access to needed healthcare, especially for rural communities. To that end, the university formed a center for telehealth to mobilize physicians, nurses, community health professionals and technologists to harness broadband and wireless technologies to deliver critical medical services to patients regardless of location. This UVA network has created access to care for thousands in rural communities throughout Virginia but also has extended the reach of health education, training and specialty care to Latin America, Africa and Southeast Asia. And with emerging globalization, the health of people in distant communities can affect the health of people everywhere. The focus of this presentation will be the current state of telehealth capabilities in providing both broadband and wireless connectivity into hard to reach communities. With the decrease cost of video-technology, the rapid expansion of cellular service and the near ubiquitous presence of cell phones, the environment for care is expanding. The speakers, with 20 years of nursing, public health and telehealth experience, will provide a primer on how to establish a telehealth program, a review of costs and technologies as well as an exploration of various clinical use cases. In particular, the speakers will review the outcomes from four successful projects that include a surgical and nurse training program with the University of Rwanda, a specialty clinic in Liberia, a mid-wife training in the DRC (PROSAMI) as well as educational and research support for projects in Uganda, Myanmar and Bangladesh. Participants will leave a broader understanding of telehealth, program design and ideas for expanding the reach of clinical services. Nam Mi Kang has completed her PhD at Seoul National University and Post-doctoral studies at Texas Austin University School of Nursing. She is a Professor of Nursing department at Konkuk University, South Korea. 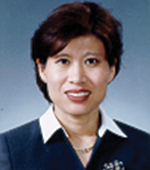 She has published many papers in reputed journals and has been serving as a society Director and review member of Korean Journal of Women Health Nursing. Purpose: The breast-feeding is known to have lots of advantages for infants in nutritional, protective and developmental aspects. Macronutrients of human milk (HM) were generally known and reported to be independent of most of maternal factors only except lactation period and premature delivery. However, there were significant controversies on the issue. Interestingly, maternal age and body mass index (BMI) were reported to significantly affect fat components of HM. We evaluated the association between macronutrients of human milk (HM), and interactions of maternal age and body mass index (BMI) in matched conditions. Methods: Totally 80 HM samples were collected from healthy breast-feeding mothers at fourth lactation week. HM macronutrients and maternal data were analyzed. Mothers were sub grouped into four groups by maternal age (20s/30s) and BMI (overweight/normal). The collected samples were frozen and stored in plastic containers at -20°C. The samples were thawed at 45°C for homogenization using MIRIS® Sonicator (Miris AB, Uppsala, Sweden) and the samples were analyzed using Semisolid-state mid-infrared milk analyzer (MIRIS® Human Milk Analyzer, Miris AB, Uppsala, Sweden). Results: Two-way ANOVA revealed significant interactions between age and BMI to affect macronutrients in HM; fat, carbohydrate, and calories. Moreover, inverse responses of fat and calorie to BMI were found in different age groups. The evaluation of over- or under-weighted infants warrants considering maternal age and BMI. Conclusion: The interactions between maternal age and BMI were found to affect HM composition. Interestingly, the inverse responses of milk fat and calorie to the BMI were found in different age groups in Korean mothers. Thus, the evaluation and management of over- or under-weighted infants warrants considering maternal age and BMI. In the further studies, the effects of these interactions should be evaluated in the view of the growth of infants enrolling enough numbers of subjects in controlled maternal conditions and in the different racial groups.